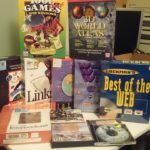 Looking Back At 90s Internet | OMGWTFBBQ! Before we get to the actual point of this article, I’ll go ahead and tell my life story. I was born in the early 80s so my first introduction to the Internet came during the growth of the World Wide Web. 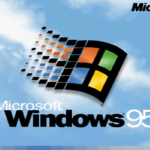 My school did not have any Internet enabled computers, but my family had a 486 running Windows 3.11 and some generic dial-up subscription from the local ISP (“Internet Gateway” or some such name, now appears to be part of Uniserve). I had my own Macintosh IIsi at the time but I needed to use our family computer for any Internet usage. Since my Mac could read PC formatted floppy disks, I spent most of my time jumping into anonymous FTPs trying to find Mac software I could toy with. I started learning more about the World Wide Web and eventually had mini sites up at Angelfire/Tripod/Xoom/Geocities and the like. It wasn’t too long until I had a 28.8kbps modem for my Mac, a dedicated phone line and a dial-up Internet service with unlimited time. Through friends I was introduced to the world of Hotline, Usenet and IRC. Hotline was great for finding software and I eventually ran my own Hotline server off my Mac, as the software was made with dynamic IP servers in mind – just get yourself listed on the trackers. There were limits to the kind of stuff I could obtain with Hotline, though. This is where Usenet and IRC came into play as I was after everything I could possibly download. Need some Amiga software for an antique CD32 console system? Outside of some random Usenet newsgroups you weren’t likely to come across that sort of stuff often. Needed to make money to pay for more blank CDs? Better get more people to sign up under your AllAdvantage referral link. These were the days I most enjoyed using the Internet. This brings us to today… The Internet as many people know of today may as well consist of an iPhone and some social media apps where you post your face over and over again. I seriously hate most of this crap. In fact, I hate it so much I decided to spin up my own mini version of what I remember about 90s Internet. 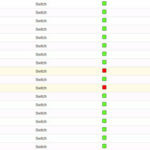 The project is called ALTEXXANET and this is a screenshot of my Gopher server. ALTEXXANET also hosts a Hotline server, IRC, anonymous FTP and a Usenet server. Here’s a few more screenshots of these services. If any of this appeals to you, check out the ALTEXXANET site and feel free to try out these old services.